Following last Tuesday's attack on a police station in Mumias, police in the area started an operation to look for the thugs who stole some G3 rifles from their colleague who was left with serious cuts and was rushed in hospital. But according to local residents, instead of police doing their job well, they have been harassing the residents and beating them up like dogs. 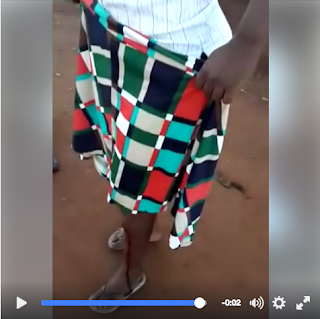 A video has been share on social media showing a woman who was narrating her experience when the police officers came to their plot and started beating up everybody. The police beat up women, children and chased them from their homes, she told of how one police officer after beating her up inserted a baton "rungu" into her nunu.